The latest by legendary Errol Ranville, aka C-Weed, along with his band: Donn Ranville, Jay Ross, and Kev Joseph. Hey! 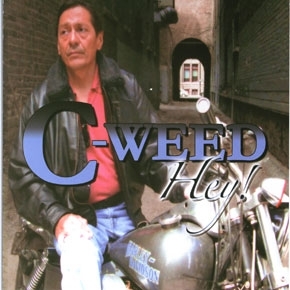 features remixes of the five tracks from C-Weed's 2001 release, Run As One, as well as four new tracks. Included is the traditional version of "Run As One," sung by Red Bull. Produced by Ranville, D.J. St. Germain and Mike Bruyere, Hey! was engineered by Desmond Mentuck and Frankie Drasak and recorded and mixed at StrongFront A/V/ Productions.